This is a part of dentistry that deals with the supporting structure of teeth (gums, bone, fiber around the tooth). Occasionally periodontal disease is the most widespread disease of the oral cavity. It can lead to the bone reduction and loss of the tooth. We provide teeth cleansing, periodontal pockets treatments, new bone regenerative methods, bone transplantation. We also provide interventions to improve the aesthetics of soft tissue. All types of oral-dental surgery are provided from tooth extractions, small surgical procedures, root resections, pre-prosthetic surgical interventions as preparation for crowns, bridges, implants to sinus lift operation and all sinus interventions. This the most demanding and the most advanced part of dentistry. It is the installation (implantation) of artificial root, implant in the jawbone at the missing tooth site. 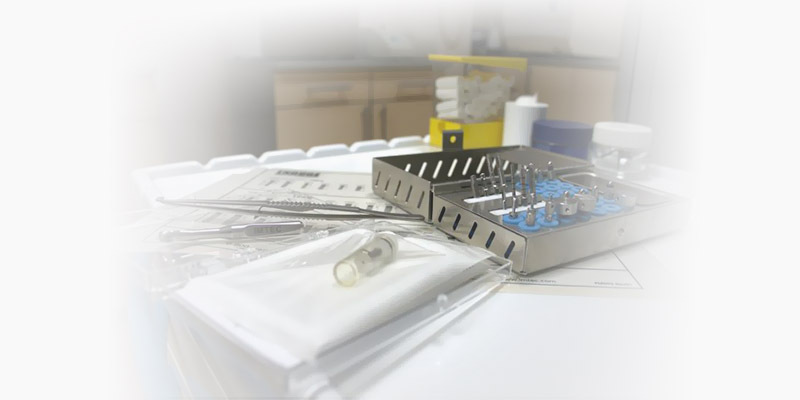 Our practice works with C-TECH implant system. We offer and provide to our patients detailed information about the procedure and the factors of success of therapy before making a final decision. After work is done information about the implant maintenance is obligatory as well as detailed monitoring through periodic inspections.